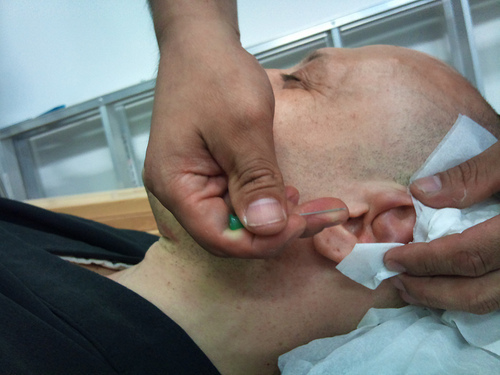 Introduction to Otoplasty – Why People Opt For Ear Otoplasty ? Otoplasty is a surgery that is performed to correct prominent ears or to reconstruct missing parts of the ear. Ear reconstruction is necessary due to either congenital defects or because of trauma and injury to the ear. The procedure is also known as pinnaplasty when it is used to correct prominent ears. Why Do People Opt For Otoplasty? Otoplasty is relatively risk free and provides great satisfaction to children and adults who have been the victim of stares, teasing or bullying due to their misshapen ears. The procedure also gives cosmetic satisfaction as it restores the facial balance. Cagot Ear – It is a congenital defect and denotes lack of earlobes. Darwinian Ear – This is caused because the rim cartilage is flat.